Dariya, Hair Magic Sheet | Memorable Days : Beauty Blog - Korean Beauty, European, American Product Reviews. They come with the colors; blue, pink and gray. There are two sheets in one pack. 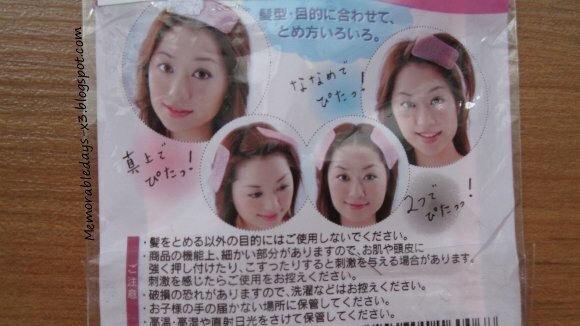 This product is a hair stabilizer. 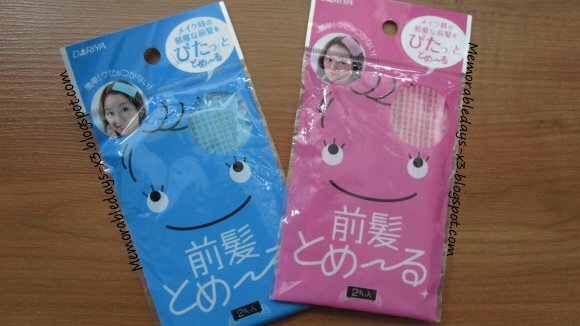 It has a rectangle shape and it is used to keep your hair back while washing your face, applying your make-up or whenever you need it. This hair tool is made of Velcro and it will stick onto your hair without messing it all up. This is a great pro of this product, cuz normally I'm using hair clips and those will leave traces on your hair and with this you won't have that. You need to slide this hair tool over your fringe and that's it :). You really need to slide it over your hair and not just stick on it. It really works great on my thin hair. My hair is very thin by the way. However, it also works fine for people with thick hair.